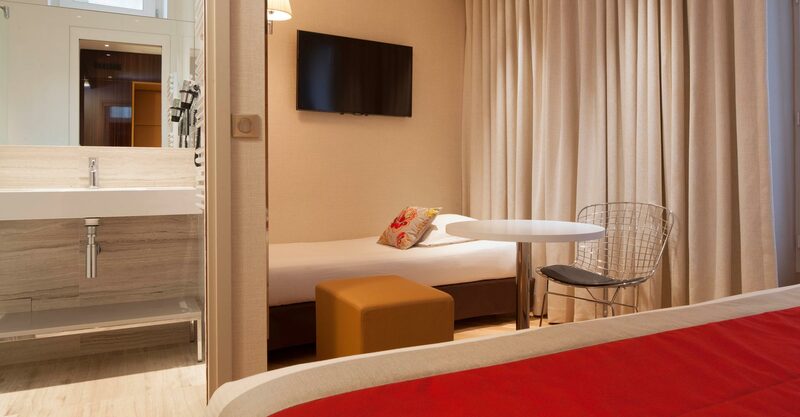 The Tourisme Avenue Hotel has Deluxe rooms just a 15-minute walk away from the Eiffel Tower. 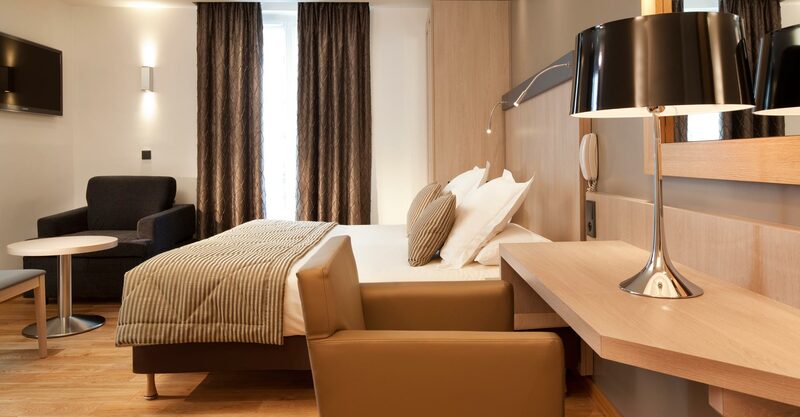 Welcome to our attractive Deluxe rooms at the Tourisme Avenue Hotel. Here you can enjoy a peaceful and welcoming atmosphere. The rooms have a surface area of 18 to 21m², with some overlooking the street and some overlooking the courtyard. They come with one double bed or two single beds (160 cm or 2 x 80 cm), a convertible armchair for one person (80 cm) and a cot on request. You can also request hypoallergenic pillows and duvets. Our Deluxe rooms also have a desk area. The bathroom has everything you need with a walk-in shower and toilets with Japanese “TOTO” technology. 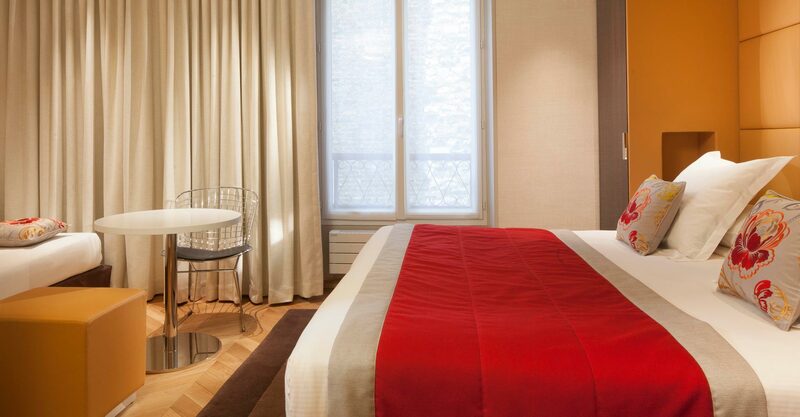 The rooms are attractively spacious, something rare in Paris, with a modern style, practical features and great comfort. All the Deluxe rooms have individual reversible air-conditioning, a Flat-Screen Television with a selection of satellite channels, free and unlimited wifi access, a personal safe, a hair-dryer, a welcome tray to get your stay off to a great start and a mini fridge with 2 small free bottles of water. For even more comfort, you also have terrytowel bathrobes, slippers and complimentary bath products.